BCCI has nominated MS Dhoni for the Padma Bhushan, the country's third-highest civilian award for his contribution to the game. 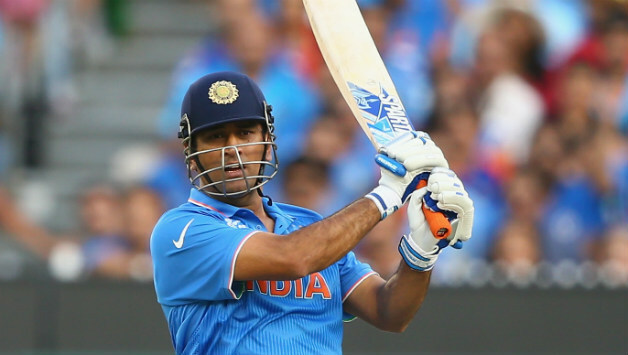 A senior BCCI official "Mahendra Singh Dhoni has been nominated by the BCCI for the Padma Bhushan award. It was a unanimous decision by the members. He has been one of the greatest names in contemporary cricket and the most appropriate choice of the Indian cricket board," BCCI acting president CK Khanna told PTI. Dhoni's credentials are impeccable and as the only Indian captain with two World titles (2011 50-over World Cup and 2007 World T20), the BCCI did not have to ponder over likely names. Dhoni could become the 11th cricketer to receive the award, after Sachin Tendulkar, Rahul Dravid, Kapil Dev, Sunil Gavaskar, Chandu Borde, Lala Amarnath, Prof DB Deodhar, Col CK Nayudu, Raja Bhalindra Singh and Maharajah of Vizianagram (Vizzy).